Pulseaudio-equalizer is system wide implementation of sound enhancements like bass boosts, echoes, Fidelity, Stereo enhancement and so on. Audio Video players have their own equalizer but they enhance only the audio / video files they are playing. So to enhance sounds playing such as: YouTube, facebook, Spotify, System Sound, Chromium, Firefox etc. all you need is the pulseaudio-equalizer. Start configuring your equalizer by either loading presets or making your own. how do you edit the /etc/pulse/default.pa files..and where are they at? 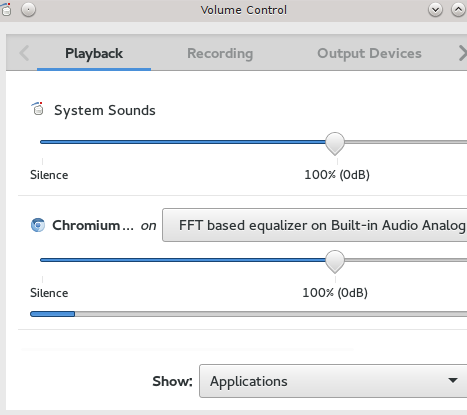 Thanks for a very helpful guide to install an audio equalizer for Arch Linux. Especially for Notebooks (and the like) and/or when listening with headphones, an equalizer greatly improves sound quality. The installation as instructed worked without problems. Thus, both programs run in the background (symbol &). Have you switched to another mirror? I have (Arch Linux) pulseaudio-equalizer version 9.0-1 installed. and then try to install again. Have to install pulseaudio-equalizer-ladspa also to work properly.